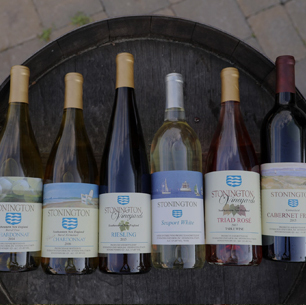 Stonington Vineyards was established by Nick and Happy Smith in 1987, when purchasing 58 acres in the Stonington Uplands on which wine grapes had been planted earlier in the decade. 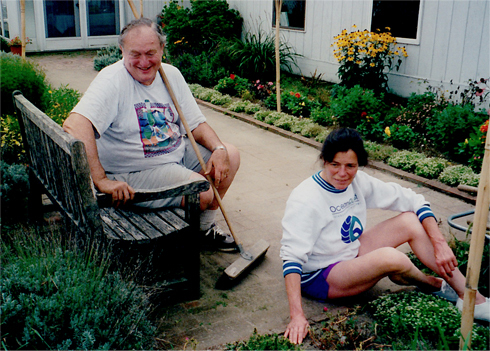 On July 4th, 1987, Mike McAndrew joined us as winemaker.His sage advice and common sense came in handy when reconfiguring the vineyards and constructing the new winery. Over the past 25 years, Mike has consistently fashioned elegant, food-friendly European-style wines…most notably our Chardonnays. We have grown slowly, with the emphasis on quality not quantity. 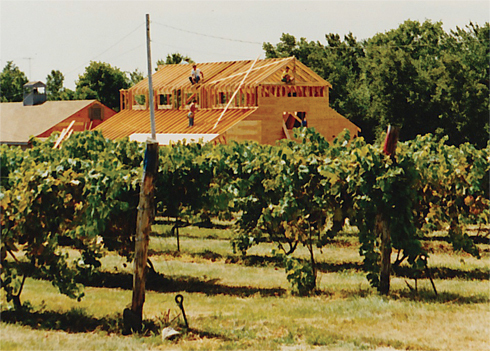 The winery was constructed in 1989 incorporating the latest in winemaking technology and the traditional methods of barrel fermentation. 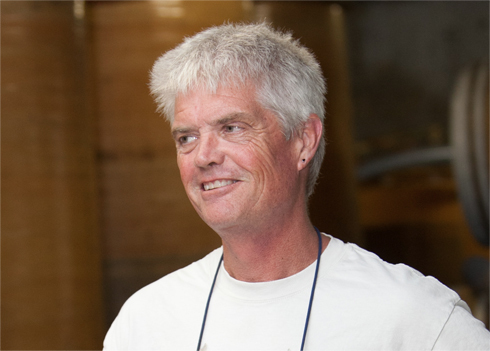 From the start, Mike McAndrew has been the Winemaker, garnering the reputation for producing quality, European-style table wines that have won numerous accolades and awards over the past 30 years. 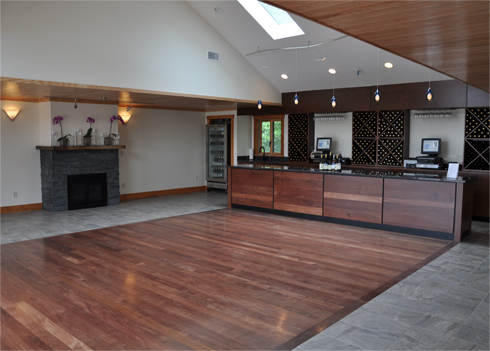 In Spring 2014 we completed renovations to our Tasting Room which offers a warm and inviting wine tasting experience. A beautiful stone patio along with updates to our gift shop and the grounds has truly enhanced the already picturesque setting we are fortunate to call home. 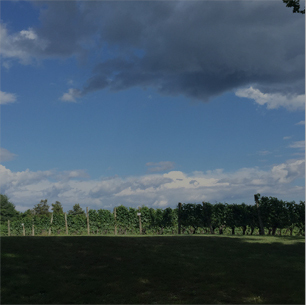 In the winter of 2016 our beloved Nick passed on to greener vineyards, but our family at Stonington Vineyards imagines him still watching over us with a bottomless glass of Chardonnay! 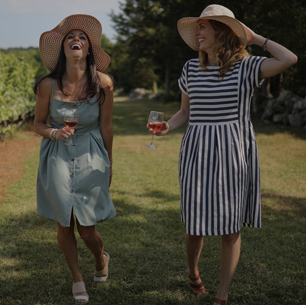 Today, Stonington Vineyards is coming into a new era. With more events, offerings and an ever growing loyal following we like to say that even after 30 years, the best is yet to come! 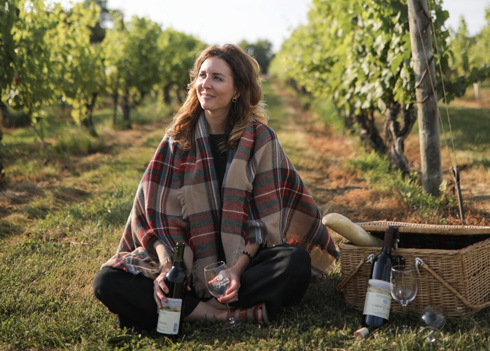 The majority of our wines are sold from the tasting room with the balance sold to fine restaurants and wine shops throughout Connecticut and Rhode Island. We have grown slowly, with the emphasis on quality not quantity. We produce 6,000-7000 cases per year and sell about 90% of our production at retail from our tasting room.